The Hurricanes will host the Super Rugby grand final after dominating the Brumbies in all facets of the first semi-final at Westpac Stadium in Wellington. The minor premiers, who lost just two matches through the home-and-away season, scored four tries to nil and would have had at least three more but for handling errors in a dynamic opening quarter. The scoreline undoubtedly flattered the Brumbies, who seemed flat after travelling to Wellington from Cape Town via Sydney and Canberra in the previous week - and who threatened the Canes' line only once when Jesse Mogg broke clear but was unable to collect his chip into space behind the home defence. "It's massive for us," Hurricanes captain Conrad Smith said. "I loved the intensity tonight." Smith said the Hurricanes would treat the grand final as just another game. "We'll prepare as we have all year," the Canes captain said. "We'll back what we do ... it's worked so far and we're going to hope we go one more." Brumbies captain Stephen Moore said "the effort was there but we weren't quite good enough tonight". Moore refused use use the Brumbies' arduous journey back from South Africa as an excuse for their lacklustre showing, saying "we turned up to play ... we had a good recovery, we had a good week". The Hurricanes, coming off a bye as the No.1 seeds while the Brumbies travelled to South Africa and back, played with verve throughout, running and off-loading with a heady mix of muscle and precision. The Brumbies struggled to slow the speed of ball from the breakdown - where Ardie Savea was magnificent, and only resolute defence stopped the scoreline blowing out as the Savea brothers - Julian and Ardie - Ma'a Nonu and Nehe Milner-Skudder ran amok at times. 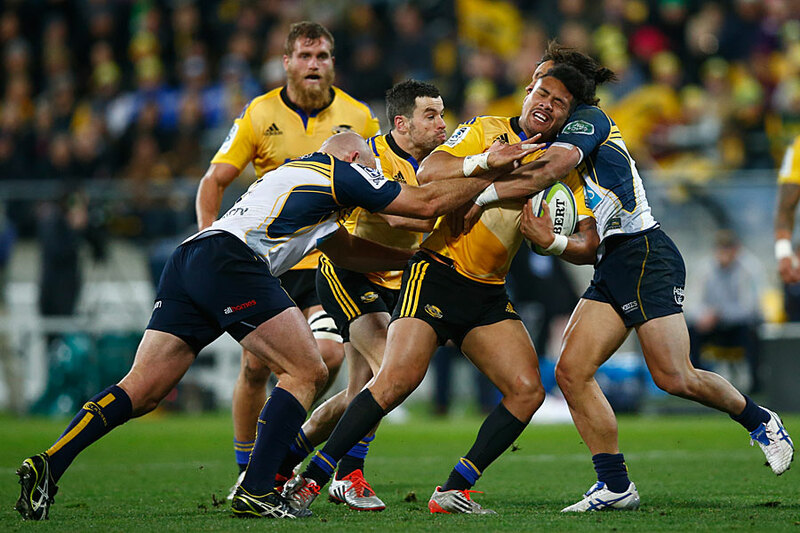 The Hurricanes' half-time lead of 12-3 didn't reflect their dominance of nearly every statistical box, a result of a string of handling errors that cruelled attacks before they finally got over the line in the 21st minute - when Julian Savea flattened Brumbies halfback Nic White to score in the corner following a wave of attacks. TJ Perenara scored his 11th try of the season after another sizzling Milner-Skudder run from 60 metres out, before Mogg kept the Brumbies in contention with a penalty on the stroke of half-time. 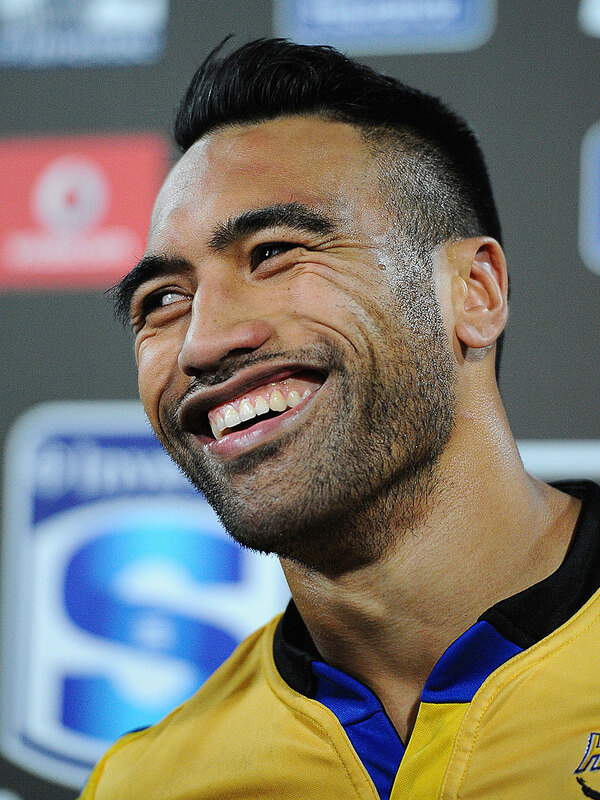 Any hope the Brumbies had of making the final was extinguished almost immediately when Ardie Savea crossed from a lineout drive three minutes after the break. The Brumbies' best chance to cross the tryline fell to Montpellier-bound Mogg soon afterwards, but the ball wouldn't bounce for him after a slick chip and chase put him clear. Fly-half Christian Lealiifano slotted two penalties to reduce the scoreline to 19-9, but a penalty to fullback James Marshall and long-range try to replacement wing Matt Proctor following a Nonu bust made the outcome safe. Concerns for the Hurricanes lay only in the injuries that forced Milner-Skudder from the field at half-time and Ardie Savea soon afterwards, while Beauden Barrett ceded the goal-kicking duties in the second half of a disappointing performance from the five-eighth. Hurricanes coach Chris Boyd said that Milner-Skudder and Savea were in some discomfort but neither was ruled out of the final. The coach was delighted with the emphatic nature of his team's performance against determined opposition. "The tempo and just the sheer weight of possession and territory probably counted in the end," he said. "We left some points out there but it wasn't terminal. If you play a high risk and reward sort of game, then you've got to expect you'll make some mistakes." Brumbies coach Stephen Larkham paid tribute to the Hurricanes, saying "they seem to have got their whole game right this year, compared to previous years where they probably didn't have as much control". "Like we've seen all season, they're dangerous when they get that turnover ball and we couldn't contain them."